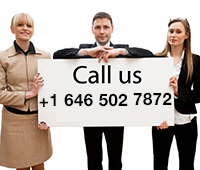 Vacation Packages to Mendoza Argentina. The city of Mendoza is the most important of the Cuyo region and is the capital of the province. Famous for its Cerro Aconcagua, for its Malbec wines and because in Mendoza it was made the deeds of Liberator General San Martin, father of our country. For all these reasons Mendoza is one of the most beautiful Provinces of Argentina and a great tourist destination to take Vacation Packages. Located at the foot of the Andes mountains, Mendoza is an incredible man-made oasis thanks to the rivers Mendoza and Tunuyán, which have been wisely channeled into a huge irrigation system that gives life to everything it touches. The climate is mild-tempered in Mendoza, though its mountains provide a certain degree of aridity. Summer temperatures range between 18 and 33 º C, the days are hot and nights cool. In winter ski season, the minimum is 3 ° C while the maximum observed is 16 ° C.
The city of Mendoza can be reached by plane through Francisco Gabrielli International Airport – The Plumerillo or by land through National Routes # 7 and 40. Our Travel Agency 01argentina offers complete vacation packages either by bus or by plane to Mendoza that will solve you all the process of reservation. By making a city tour in Mendoza you can learn about the history and culture of its inhabitants, which also assessed in its museums, manifest in its cafes, plazas, public buildings and institutions. 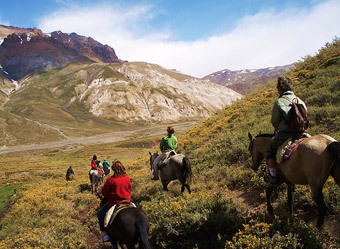 Historical tradition, Mendoza keeps many memories of the epic through Mount San Martin de la Gloria, the Plumerillo, Parque San Martin and the variety of museums that document the passing of the hero of Argentina for the region. All these sites complete a great vacation package in Mendoza. 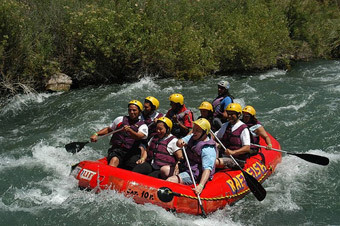 But nature prevails in this city that serves as a starting point for all kinds of adventure activities and mountain sports such as mountaineering, rock climbing and skiing, as well practiced rafting in Mendoza River, with some sections of great difficulty appreciated even by the world’s best in the field. The Wine Route is one of the most exciting excursions in the city. Visitors can tour several wineries tasting all the wines produced there, who have made this region famous in the world. In Mendoza is held every summer the Mendoza National Harvest Festival, which this year 2012 will be held between February 26 and March 5. And on Saturday March 10 will be held the Harvest Festival Gay “Harvest For All”, in the Auditorium Angel Bustelo. Our travel agency 01argentina can organize a vacation package including the Mendoza National Harvest Festival. For one thing, the slogan “the land of good sun and good wine” remains intact, more successful than ever and it is the title of all the Vacation Packages to Mendoza.